A female bisexual artist turns out to be a vampire. After the death of her parents, a young girl arrives at a convent and brings a sinister presence with her. Is it her enigmatic imaginary friend, Alucarda, who is to blame? Or is there a satanic force at work? The inmates of an insane asylum take over the institution, imprison the doctors and staff, and then put into play their own ideas of how the place should be run. A reporter hunts down a 144-year old alchemist who is killing women for their blood. A perverted teenage boy who lives in the walls of a house finds the house sold to a family after his mother dies, and he falls for one of the new residents. When disturbed New York City (NYPD) cop Lacy rescues Sally, a beautiful cellist, from deranged crook Rabbit by shooting Rabbit in cold blood, he sets off a spark of publicity that brands him the city's hero. In the 1970s Arizona, a young married man becomes an independent long-haul driver and he risks his life fighting the corruption in the local long-haul trucking industry. A family takes delivery of a new television set, unaware that it is the gateway by which killer zombies enter the world. Allied prisoners of various nationalities pool their resources to plan numerous escapes from an "escape-proof" German P.O.W. camp housed in a Medieval castle. 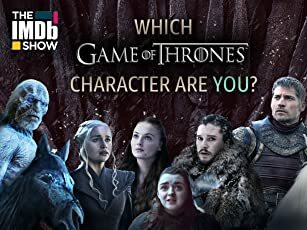 The ghost of a sadistic nobleman attempts to rekindle his romance with his terrorized, masochistic ex-lover, who is unwillingly engaged to his brother. Someone, or something, is on an indiscriminate killing and mutilation spree during night-time. Frustrated by the clueless police, the father of the first victim is looking for answers, no matter how far fetched they are. A housewife with an abusive husband has an affair with a writer. In 1906, in China, a British anthropologist discovers a frozen prehistoric creature and must transport it to Europe by train. Mary is a vampire, but her reflection shows in the mirror completely normal. She also carelessly walks around during the daylight, and although it's not explicitly mentioned, I'm pretty sure that she can resist the effects of garlic and crucifixes as well. This all just to say that "Mary, Mary, Bloody Mary" (got to love title!) is a very unconventional vampire movie, but also one that is strangely absorbing and intriguing in spite of the ultra-thin story lines and the obvious budgetary restrictions. The film was directed by the Mexican born Juan López Moctezuma, who also made the '70s cult/exploitation highlights "Alucarda" and "The Mansion of Madness". Those who have seen these brilliant – in my humble opinion, at least – flicks know they can expect anything from Moctezuma. 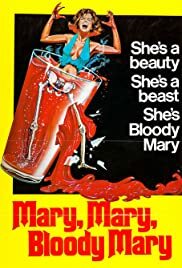 "Mary, Mary, Bloody Mary" is less flamboyant and bizarre than the other two, but still a uniquely compelling tale about a reluctant condition, hunger for love and the search for roots (bloody roots!). Mary is a successful painter, traveling around in Mexico with a handsome drifter that she met in an abandoned mansion where she was forced to spend the night. She desperately tries to hide it from Ben, but Mary needs to drink human blood in order to survive. So she occasionally drugs an unsuspecting victim and slits his (or her) throat with a hairpin. A duo of police inspectors follows the trail of beastly murders, but there's another mysterious figure pursuing Mary. Someone who also kills and drains all the blood from the bodies. "Mary, Mary, Bloody Mary" is full of odd little details that makes me cheerful, like the fact that the opening credits appear very late and totally randomly into the film, or the brief but very recognizable supportive role for cult-monument John Carradine. What makes me slightly less cheerful is the totally redundant and gratuitous animal cruelty (I sincerely doubt that the shark and turtles were fake). Lead actress Cristina Ferrare is a natural beauty and she gives away a powerfully integer performance, but the film mostly benefices from that typically mid-70s ominous atmosphere and the non-stop sexual tension. Recommended to cult fanatics! 2 of 5 people found this review helpful. Was this review helpful to you?